Welcome Dear Readers! I am so excited! As you may know, from time to time this blog takes it upon itself to attempt to cheer up American Literature’s most Gloomy Gus, Edgar Allan Poe. And in that light, I feel this blog is making a little progress. 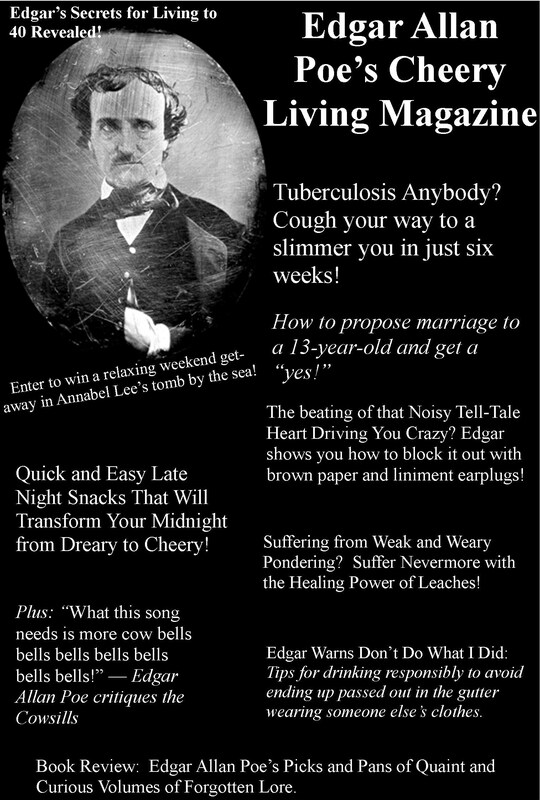 Check out Edgar Allan Poe’s new magazine! WE can only hope, Dear Readers, that this his new positive attitude has staying power!